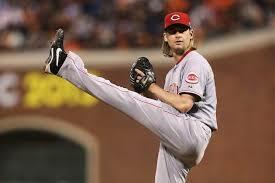 As the Mets continue their search for a pitcher who can give them 200 innings, they have expressed interest in former Red, Bronson Arroyo. Arroyo, 36, has pitched 199 or more innings the last nine years. Arroyo is still looking for a three-year deal but his top two suitors the Giants and the Twins have since moved on. Arroyo would be a good option for the Mets on a two-year deal. Arroyo would benefit from getting out of homer friendly Great American Ballpark into Citi Field. A 2-year 23 million deal with the Mets would make sense for both sides, similar to what the Giants gave Tim Hudson a few weeks ago. Despite his age Arroyo has pitched effectively for a playoff team in a tough ballpark the past few years. 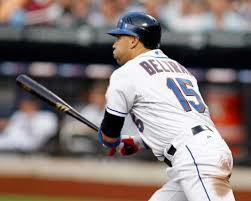 Former Met Carlos Beltran has been a hot commodity so far in free agency. 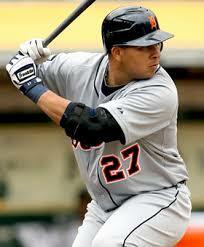 Teams such as the Yankees, Red Sox, Orioles, Royals and Reds are all pursuing the slugger. The Mets have not been pursuing the outfielder BrokeMets has learned. Considering the Mets lack of activity so far this offseason that piece of news shouldn’t come as a major surprise. Beltran is looking for a three-year deal and his preferred destination is the New York Yankees. The Yankees have made Beltran their current “#1 priority” and have offered him a two-year deal. It would be a surprise at this point if the two didn’t work something out. While other suitors have interest it appears our old friend wants to be a Yankee and they want to have him. Plus they seem to have the most money available to offer him so it seems like a fit. He continues to say he won’t make his decision until mid-December. Whoever signs Beltran would have to give up their top unprotected draft pick. The Mets likely don’t have interest because of Beltran’s age (he will be 37 on opening Day) and his declining range in the outfield. Beltran has made it clear that he wants to play the outfield every day but having DH at bats available would probably benefit him. 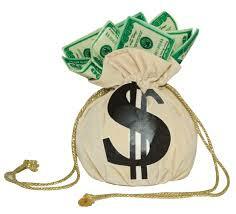 Sandy Alderson said this week that the 2014 payroll will be at least what it was in 2013. The 2013 payroll was at $87 million. Adam Rubin of ESPN New York recently did the math and broke down how much money is currently on the books. To round out the roster, you need to add 13 players, at least at the $500,000 major league minimum, for an additional $6.5 million. The total of all that is $62 million. If the payroll is going to be at least $87 million than including the Young signing the Mets still have at least $25 million they can spend this winter. The Mets may have even more payroll flexibility if (or when) they trade Ike Davis. They can still address their needs this winter if they act smart yet swiftly. It’s not time to panic just yet fellow Mets fans. The BrokeMets Facebook page got a interesting question today from regarding next year’s bullpen. What’s the bullpen supposed to look like next season? Is Parnell the definitive option at closer? That question is from Rob and it is a very good question as the bullpen has been overlooked so far early on this offseason. The Mets haven’t had a league average bullpen since the 2007 season but it looks like that could change soon. The Mets are developing some nice young arms and they aren’t all going to be starting pitchers. Going into the 2013 season the Mets bullpen was entirely up in the air and after a lot of reshuffling, the Mets look a lot more comfortable with some of the arms they will have next year out of their pen. It all starts with Bobby Parnell who had a strong season as the teams closer before undergoing a neck injury. The injury is more serious than originally thought as Terry Collins said in September that Parnell has already lost 30 pounds. Collins believes Parnell should be ready to go in Spring Training and has two more years under team control through arbitration. If Parnell is healthy after his neck surgery, he will be the closer next year. Next the Mets have Vic Black and Gonzalez Germen. Both of these guys received a few save opportunities in September with no Parnell around. This could prepare them for high leverage roles next season to build a bridge to Parnell. 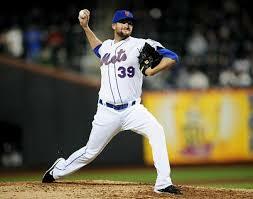 Germen was solid in his rookie season for the Mets and is likely to be apart of the Mets 2014 bullpen. Black, 25, came over in a trade from Pittsburgh. He has very good stuff and if he can limit the walks, he should a fine set-up man. Black will be the Mets closer should Parnell not be ready to go. Black was a very good get for Sandy Alderson. Black has a good arm and is getting over the control issues that have plagued him in the past. He looks ready to contribute. Next you have the two lefties Scott Rice and Josh Edgin both who are under team control next season at the league minimum. Rice was a fantastic find as a 31 year old rookie and Edgin looked like he was just figuring it out before braking a rib in a season ending injury. 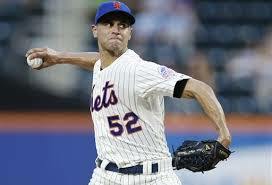 Last but certainly not least is Carlos Torres who was fantastic as a spot starter and even better as a short reliever. Torres has a 2.77 ERA in 55 innings for the Mets in ’13. He has been great and seems to have the type of rubber arm that every good team seems to have. He too will be under Mets control next season. The Mets now have six guys they could in theory pencil in to spots in the 2014 bullpen. At this time last year they had one and that was Parnell. It looks clear now that the Mets are finding some solid arms as Sandy Alderson continues to sculpt this team. The Mets will look externally for another arm to bridge the gap to Parnell now that LaTroy Hawkins has left to join the Rockies. Options include relievers like Edward Mujica, Jessie Crain and Fernando Rodney. There just isn’t enough closer jobs available so some of these guys might have to settle for an 8th inning job. With questions about Parnell a spot in the Mets bullpen could appeal to these guys who are looking for a bigger payday in a year or so. If you want to leave a question for a future post, write it on the BrokeMets facebook page. I will turn any question into a post. Pirates 1B/OF Garret Jones was designated for assignment by the Pittsburgh Pirates Monday. Jones,32, hit 15 homers for the Pirates in a down year in 2013. Jones was due over $5 million in arbitration so he was designated for assignment. The Pirates now have 10 days to trade Jones before he is released. A few Mets fans have tweeted the BrokeMets account asking if Jones is a fit. He has a ton of power but he is not a fit for the Mets. Jones is really just a first basemen who can play a poor right field. The issue with Jones is he really only hits right-handers. Jones hit .095 in a very short sample against lefties in 2013. in 491 career at bats against lefites Jones has hit just .193 compared to .271 vs right-handers. Sounds awfully similar to Ike Davis and Lucas Duda. Also the Mets really can’t afford Jones’ price tag right now on their budget. They could bring him in if he gets released I suppose, but he would likely look for a better opportunity for playing time then. The Mets are looking to unload one of Davis or Duda because they are too similar. They don’t need to add a third first basemen that is likely a platoon player. The Mets #1 shortstop target Jhonny Peralta is now off the board as he fills the Cardinals enormous hole at shortstop. Peralta got a 4 year $52 million deal to play for St. Louis, much more than what most expected him to get. The Mets were willing to offer Peralta a 2-year deal which wasn’t taken well by Peralta or his agent when they met at the GM Meetings in Orlando last week. If I were the Mets I would have given Peralta four years. $13 million a year isn’t a bad deal for a shortstop who can hit. Now the Mets are left without a clear option at shortstop. Free agent Stephen Drew is expected to get more than Peralta. The Mets liked Peralta better than Drew so I don’t figure the Mets will be in Drew’s market at all. That means the Mets are going to have to acquire a shortstop through trade. 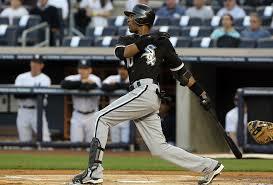 Trade options include White Sox SS Alexei Ramirez and Angels SS Erick Aybar. It is unknown if Aybar is truly available at this point but Ramirez certainly is. The Mets had interest in Ramirez at the trade deadline and he is probably the best available option left for the Mets. I wrote about the Mets interest in Ramirez over the summer. You can check that out here. At this point, it wouldn’t be a surprise to see the Mets have Ruben Tejada out there on Opening Day. The Mets clearly undervalued the free agent market and misjudged how much money their #1 free agent target would get. The Cardinals always seem to get it right and it appears at first glance that they did it yet again. Who should be the Mets shortstop next year??? The Mets have made their first move of what should be a very busy winter, signing OF Chris Young to a one-year deal worth $7.25 million. Young, 30, had a miserable year in Oakland during the 2013 season, hitting just .200 with a .280 OBP and 12 homers for the AL West champions. 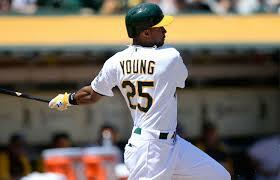 Young is a very good defensive outfielder who can play all three outfield positions. As of now he will start but that should change should the Mets bring in a few other hitters. Did the Mets overpay for Young here a little? Yes but this isn’t out of line with what other outfielders such as Marlon Byrd ( 2 yr/$16) or David Murphy (2 yr/$12) have received. This is the kind of move the Mets will make all winter. Looking for guys on the cheap who are candidates for a bounce back season. Young was a borderline star with the Diamondbacks and made the All-Star team in 2010. He has always had great power but his average and strikeout rates have always left something to be desired and have declined the last few years. In Oakland he struggled because his already bad strikeout rate ballooned all the way to an anemic 25% strikeout rate. He also just pops the ball up way to much so perhaps another change of scenery would do him some good. Last year Young didn’t hit anyone but before that he was very good player against left-handed pitching so perhaps the Mets can find him a platoon partner. Eric Young Jr. who will be on the mets bench next season has also hit lefties much better than righties over the course of his career so he isn’t the ideal platoon partner. Considering this is about 25% of the Mets budget he will likely be starting in an outfield corner on Opening Day. Young will probably get 400-500 at bats with the Mets but it is unknown if they will be all in one position or as a super utility outfielder playing all three spots. All of that likely depends on what other outfielders are brought in this winter. The Mets have been very interested in Young the past few years. The Mets have already spent more money this winter than they did during the entire 2012-2013 offseason. The Mets 40-man roster now stands at 41 so they will have to designate a player for assignment to make room for Young. Do you like the Mets first move of the offseason?